Why Do Internet Radio Audience Like to Chat and listen? Why Do Internet Radio Audience Like to Chat? Internet Radio is bombing. Why radio and Why now? It seems like the world is all about video. The question asked is why video did not make radio redundant? Let’s see the evolvement of the internet growth in the video era. Unlike a television broadcast that is filled with flashy colors, moving images, and fully-formed characters. Internet radio broadcasts are vastly different. The absence of visual images in an internet radio broadcast forces our minds to create our own images. It also makes us really activate our imaginations. Add to it the amazing amount of internet radio stations and various options, you get a booming effect. When adding to Internet radio an audience chat room, it seems like a natural pair. So Why Internet Radio? Isn’t it the Video Era? Some people may wonder if radio listeners spend much time listening to radio shows, and if they do, why do they bother with radio? With so many other visually-stimulating forms of media available for us to take advantage of today, radio may, unfortunately, seem outdated to some. However, radio has a certain perseverance and staying power that has enabled it to continue growing. Even thriving, in today’s video era. Why is this? Radio is adapting! In the past 5 years, Internet radio stations and channels have become a huge phenomenon. People love the convenience of listening to their favorite radio programs from their online and portable devices. They enjoy being able to access their shows at any time and at any location. With so many stations to choose from, it is essential that Internetradio stations do everything possible to stand out from the crowd. To be successful in today’s radio industry, incorporating an online chat room is one proven option to do so. How Do Online Radio Platforms Work? And How Do I Set Up My Own? Setting up your own Internet radio station in today’s world is a breeze. In addition, you don’t need any special audio gear for this project aside from a mic. This 3 are leading radio platforms for online broadcasters. Radio.co – This web application allows for broadcasting from anywhere in the world at any time. Users can set up their station to be completely automated and they can track who is listening, from where they are listening, and in what way they are tuning in. Radionomy – This hosting platform allows users to set up completely free stations that can be accessed by listeners around the world. 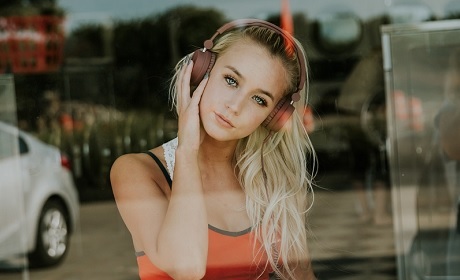 Users may benefit from all of the partnerships that Radionomy has established with other Internet radio businesses, which could help them expand their audience. Radioking – Radioking allows users to easily set up their station, which they then can embed into their Facebook page or website. This site allows for unlimited listeners and has a variety of different widgets and features that users can take advantage of to customize their station. An Internet Radio Station is Simply Not Complete Without a Chatroom! The next step after creating your radio broadcasting platform is creating a chatroom. You do not even have to own a website. You can create your own chat room URL and share it with your audience. If you do have a website, simply embed the chat in it. Now, a chat is not only for chatting. It is a promotional tool. Since social networks are embedded into the room (facebook and twitter) your audience can share pieces of the conversation on twitter and facebook and they can invite their friends to join and listen to the show directly from the room. Now you can increase your audience engagement. 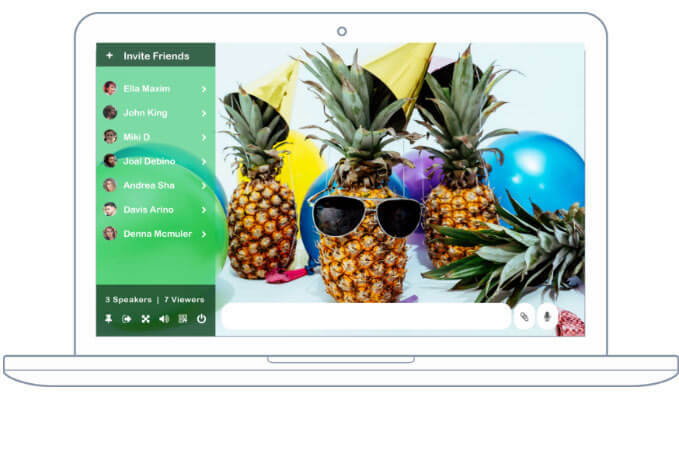 Chatrooms allow listeners to easily send in feedback, feel connected to radio hosts, and they help facilitate the creation of a listener community. How Was Radio Different in the Past? As a result of the Internet radio era, radio audiences were more easily able to be active participants in the programs and shows they loved. Radio announcers often invited people to send in their personal stories that related to a specific topic or the daily theme of the show. The host may have selected a story to read during the broadcast and then provided some commentary. Listeners may have been able to call in and share their own opinions about the story or provide anecdotes of their own. Local radio programs often also delivered the news, announced upcoming events, and reported on important local issues. However, some hosts may have shared their opinion and then encouraged callers to call in if they disagreed or agreed to have a friendly debate. In this way, listeners truly were able to feel like they were part of the radio program’s community. Finally, the audience is engaged, they participated, and they came back for more. Though traditional radio stations do still exist, Internet radio is definitely changing the game. Listeners can choose programs from all over the world and are no longer limited to only having access to the radio stations in their community. While this is exciting, as radio programs have a much larger potential audience. It does make it harder to establish a sense of community for listeners. A radio program should still strive to make sure its listeners feel connected. One way to that is through the use of chat rooms. How Will My Audience Participate in the Conversation? If you have a website, you can embed the chatroom directly into the site. If you have a facebook page, you can easily add a chatroom. Embedding a chatroom on websites is not necessarily difficult. The third option is by far the simplest. By sharing the link with your audience, you can help create a radio community that all listeners can participate in. 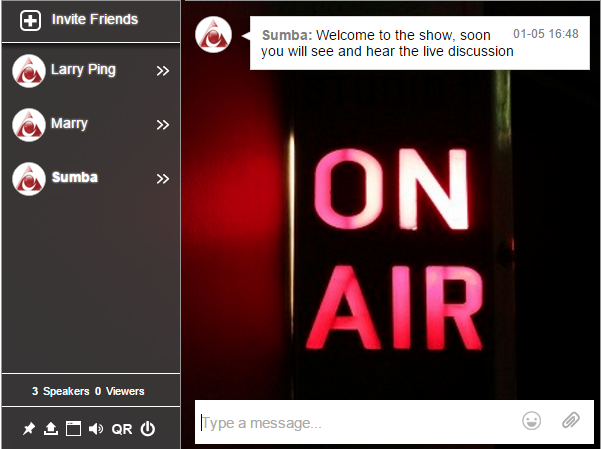 By participating in a chatroom, listeners can https://www.rumbletalk.com replicate the experience of having a local radio station to call into and share their feedback. Hosts can create more personal relationships with their listeners. They can gain a better understanding of who is listening to their station and can encourage listeners to keep listening. Seems like the world of radio may look much different today than it used to. With much more Internet radios options, every listener counts. Using a radio chat room in your Internet radio station can help to add more loyal audience to your virtual station.